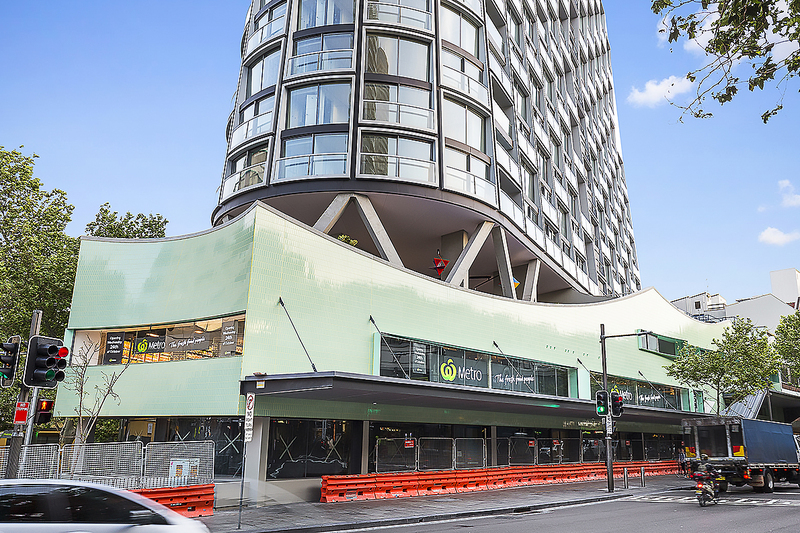 A Woolworths Metro has officially opened as the anchor tenant of Greenland Australia’s $320 million Omnia apartment building in Potts Point, which is in the final stages of completion after Probuild topped out the structure in February 2018. The result of a design competition, the 20-storey tower features a striking hour glass form that was conceived by architects Durbach Block Jaggers, with interiors by SJB. Omnia's dynamic architectural expression was achieved by progressively reducing the floor slab length by 180mm across 10 levels and then increasing again. Omnia comprises 132 high-end apartments with sweeping Sydney CBD skyline views to the west and harbour views over Elizabeth Bay, Watsons Bay and North and South Heads to the east. The Woolworths Metro in Omnia offers an expansive fresh food section, barista made coffee, sushi made on site, hot roast chickens, an in-store bakery and a quick and easy ready meal section. The Woolworths Metro is located on level one of Omnia’s podium level, and forms part of a retail offering that will consist of ​seven​ other retail spaces on the ground floor, which are currently available for lease. 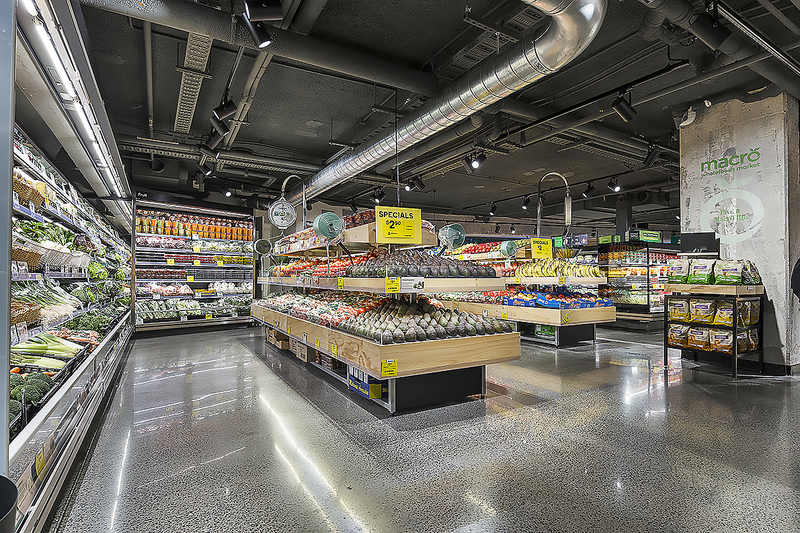 According to Greenland Australia, the Woolworths Metro store further strengthens one of Omnia’s key points of difference – convenience. The Woolworths Metro will be open from 6am until midnight seven days a week. Having the Woolworths Metro store on the podium level really is the icing on the cake for our residents. We are also targeting premium bar and restaurant operators for the ground floor retail tenancies, so Omnia will provide an immense level of lifestyle convenience all within the building itself. Omnia offers the ultimate in convenience on a number of fronts. Firstly, it’s in an exemplary position, ideally located between Victoria Street and Darlinghurst Road, adjacent to the iconic Coca-Cola sign, right in the centre of all the action, you can’t get much better. It’s also a stone’s throw from the CBD. From a lifestyle point of view, it has a myriad of top-notch restaurants, bars and other entertainment venues within a short walk in Potts Point and Woolloomooloo. It also has landmark destinations including The Royal Botanic Garden, Hyde Park, Woolloomooloo Wharf and the CBD, within a fifteen-minute walk, not to mention designer boutiques and a range of sophisticated fine dining options. Our customers are looking for food they can either eat now on the go, or later, along with a convenient grocery shop. This store has been designed to cater to the area’s high volume of pedestrian traffic, which includes busy city workers and local residents, who are looking for quick and easy 'grab and go' shopping options. Residents who are heading home for the evening and are looking for healthy meal options that are freshly prepared and ready to cook or reheat, will have all this on their doorstep with this Woolworths Metro store.